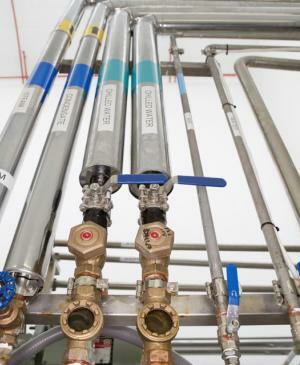 The company specialises in industrial pipework installation and completes jobs starting from £1,000 up to £1m, the most recent being a £670,000 installation for a new Central Heating Plant. The business began in 1985 when Jonathan Granfield was working on-site at Glaxo as a Project Engineer for Shepherd Engineering. It was here he noticed a requirement for jobs that were too small for the big engineering firms but still required prompt and professional attention. Since then JMG has grown by reputation both within pharmaceuticals as well as other industry sectors, particularly those with time critical processes. New employees were initially brought on as needed, however recrtuitment is now done on a pro-active basis, in anticipation of growth and to make sure there is always an optimal workforce for both the mechanical and electrical areas of the business. After 30 years you would expect a company to be competent in the technical aspects of the job however experience tells us this only part of the story. JMG has a job to do and does it well, however its reputation and longevity also rests on the appreciation and understanding that you have a job to do as well. Having started life in the pharmaceutical sector, Health & Safety has always been front and centre. Something that continues to serve JMG well, as the importance of a robust approach to Health & Safety continues to be recognised and appreciated by clients in all industrial sectors. JMG has Health & Safety professionals overseeing every aspect of its operation. They have day to day responsibility for making sure all JMG personnel and equipment are up to date with the relevant training and certification, as well as ensuring that every site is an optimal working environment, for the benefit of everyone working there. Jonathan Granfield, JMG's founder, has a strong work ethic and an unwavering personal comittment to his work, his staff and JMG's clients. The JMG team has built up around this commitment. JMG’s reputation is based on a being a trusted partner particularly in regard to time critical projects. The company attracts people who want to work in this way.